Why is project management so important? Good project management can be the difference between a project delivering its promise, on time and within budget, and one that fails under the weight of the triple constraint. Effective project management keeps a project on track. It holds the project team together and ensures that all project stakeholders are engaged on the project’s aims and objectives. Here are seven reasons why you should never underestimate the importance of project management. Good project management ensures that the project is aligned with the goals of the business. It assures that risks that may emerge during the project lifecycle do not jeopardise the business, and that action taken realigns the project to the needs of the business. Within PRINCE2, the project framework insists on the foundation of a strong business case that delivers a valuable ROI. Project management engages stakeholders in a common focus: to achieve the project’s objectives. It provides project briefs and management of project stages that keep the project on course. This ensures that tasks are accomplished in a timely manner, within budget, and to the quality that ensures the project can move to the next stage. As the project progresses, it may be that objectives must evolve as risks materialise and scope changes. Good project management ensures that such occurrences do not lead to a decrease in focus. Because realistic goals are set, realistic project planning is delivered. If proper project planning does not take place, budgets, deadlines and quality objectives are likely to be miscalculated. The project is likely to overrun on costs and time, and to fail to deliver the project products expected of it. Customers may have unrealistic expectations of costs and timing. Effective project managers can reign in these over-ambitious expectations, referring to their previous experiences. Only then can a realistic project plan be developed, with reasonable budgets, timelines and quality expectations. Effective risk management is crucial to the success of a project. The process needs to ensure that risks are considered, and managed before they become issues that could derail the project. PRINCE2 methodology ensures that project managers analyse all potential risks and threats, and quantify them and mitigate against them. In this way, risks are prioritised, and contingencies are put in place. This will include appropriate responses and flexibility to adapt the project plan along its lifecycle. Project management ensures that progress is monitored and reported. Status reports keep all stakeholders informed, and that discrepancy to the original plan is managed in a timely and effective manner. This continuous monitoring in real time makes it easy to spot when a project digresses from its course. By comparing what was planned and what has been completed, the project manager, team and customer can decide on what action is needed to steer the project back on course or to be adapted to revised objectives. Project management is a learning experience. By learning from mistakes and success, the project team benefits throughout the project lifecycle. By taking those lessons forward, subsequent projects benefit from this learning experience. If this learning were not formalised, project teams would probably make the same mistakes in new projects. Project management also ensures that projects benefit from strong leadership and a formal process of reporting. Forward momentum is maintained, as coaching and mentoring is provided, and teams are motivated to overcome problems. Individuals and teams are kept accountable to their roles and responsibilities, providing reporting lines that ensure there is no confusion caused and control is maintained at appropriate levels. Effective project management is crucial to the success of all projects. Without it, projects will suffer from unclear objectives and unrealistic goals. 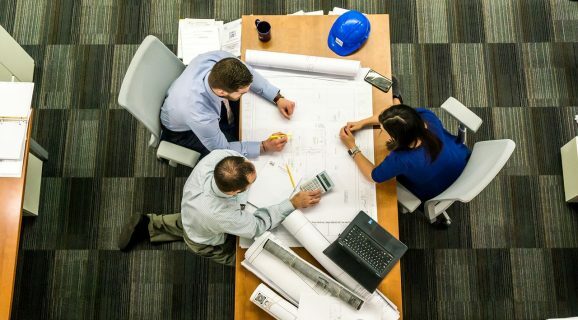 Poor planning is likely to scuttle a project before it begins, as it succumbs to cost overruns, insufficient resources, unmonitored risks and delays to delivery. Great project management delivers successful projects. It keeps project teams motivated, and it engages project stakeholders throughout. It keeps costs under control, and ensures quality of work and product is maintained. In short, great project management delivers happy clients. Richard Willis is a very experienced Project Manager with over 25 years’ involvement in the Project Management business. He has been in the roles of both client and contractor and therefore appreciates both perspectives. His background is in PMBOK, however he is an accredited PRINCE 2 Practitioner. How do you know your team needs project management training?